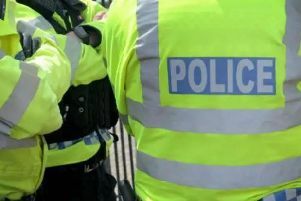 A housing developer has defended the actions of one of its workers after angry onlookers claimed a saleswoman at a building site got in the way of emergency services. Two air ambulances landed inside a new Persimmon Homes housing development, Mallory Grange, Whitnash, opposite the property where a man had collapsed on Sunday (January 28). But passers-by claimed the saleswoman told the emergency crews that they ‘couldn’t park their helicopter there’. They also claimed that the woman also tried to stop the crew lifting up a fence as they dashed to help the patient, forcing outraged passers-by to intervene. But Persimmon Homes has defended the saleswoman, saying she was raising “concerns for public safety” and was not obstructing the emergency crews. It said the worker was in fact trying to help the crews, as they landed in an area that contains hazardous materials. The patient was taken to hospital with a suspected cardiac arrest, but it is believed he actually suffered head injuries. The helicopters were called to assist with the emergency after Midlands Air Ambulance had responded to the initial 999 call. It touched down inside a cordoned-off area which was still under construction opposite a row of new two and five bedroom properties at 1.30pm. Onlooker Michael Bunting, 32, who witnessed the incident, said: “My wife does a bit of work for the Air Ambulance charity and we just wanted to get a photo of it landing. “We were waiting to get a video of it taking off but then that’s when the second one came along and had to land. “These guys are professional pilots. They take everything into account when landing. It’s second nature to them. “For a saleswoman to obstruct the crew getting to the emergency is appalling. And when the crew couldn’t get through the fencing she told the crew not to pull it out. It took myself and a few other bystanders to lift the fence to get the crew through. “At this point she is still giving the crew hassle about where they have landed. “I just found it so appalling that a saleswoman was so rude and I understand the safety measures but these guys are trained, it’s their job. “The pilot circled the area twice before he landed, he knows what he is doing. Central region director for Persimmon Homes, Neil Williams, said: “Health and safety is of paramount importance on all of our sites and we take it very seriously. “At no point would any of our staff obstruct the emergency services, however, it is critical that our staff raise any concerns for public safety.